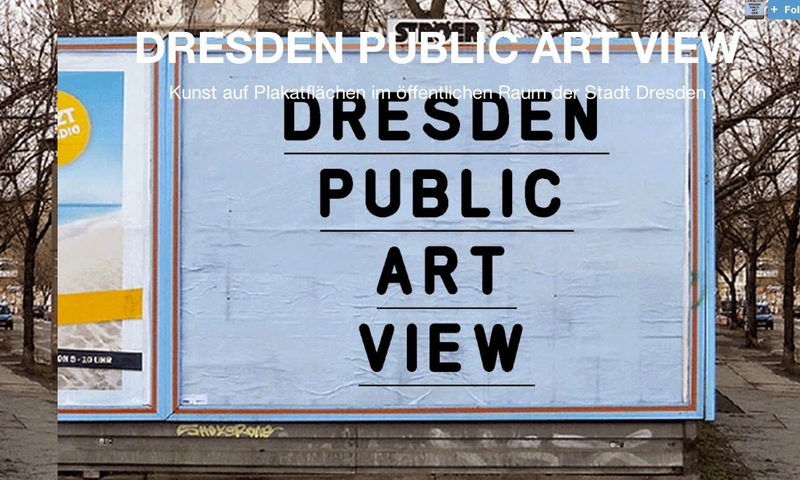 The city of Dresden, along with Stroer outdoor advertising, is holding an open submission for artwork to be placed on 50 billboards around the city. It sounds like a good idea to bring more art to the streets and in the process eliminate a lot of advertising, if only briefly. The only problem is this initiative is promoted by an outdoor advertising company not in the business of making art happen, but rather money. Something must be amiss if they are offering free space. It seems that with the rise in popularity of street art and now this sub genre, developers and business interests are seeing a symbiotic relationship as opposed to an adversarial one. Instead of buffing graffiti and street art before plopping a bunch of condos down in an up and coming neighborhood, developers invite those same artists to "decorate" the area and give it the bohemian sheen they need to attract deep pocketed buyers. Once those condos are sold, the artists find that thier work is no longer needed and thier actions are again subject to the full extent of the law. Likewise with the anti advertising sub genre, billboard companies are inviting artists to use thier infrastructure in what I see as an effort to revitalize thier dying medium and bring new eyes to what most of us try to avoid like the plague. Like the old saying goes, "If you can't beat em, offer them professional exposure and watch as they abandon all of thier moral codes."